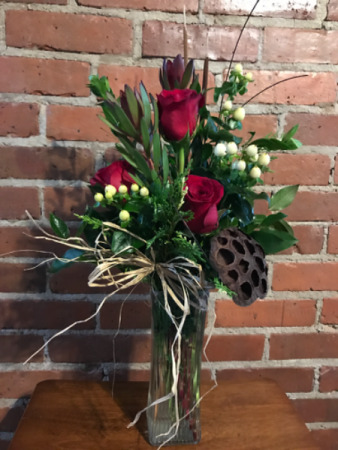 This products was designed for the manly man, a great mixture of flowers and the woods look. 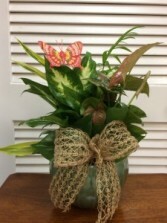 Each dish garden comes complete with a bow and butterfly. 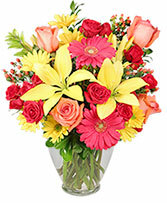 A great way to cheer up the home or office. 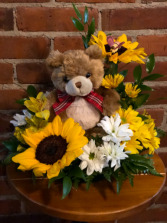 This cute arrangement will brighten up anyone’s day!